Here’s a completely made up but not too off-the-mark fact. Most of you reading this article are doing so on your tiny little 4-something inch shiny mobile devices while I spend endless hours to weave the perfect words on my 13-something inch laptop to make it an enjoyable read for you. Its’ obvious that the human race is already social, and the smartphone has everything needed to enable them to act on their social needs. You might have read endless articles on how mobile devices have changed the face of connectivity and the revolution they bought about in our communication patterns. I’m not going to repeat what even the most uninterested souls know because of the number of times its been said. I’m a little more dramatic than that! I’m here to tell you how the mobile, our little pocketful of screenshine, is here to transform social media networking, as you know it. The mobile is cannibalising desktop computing to such an extent that mobile seems to have become ‘The Promised Land’ of social connectivity. Let’s deep dive into this and see why this is happening. If a person from a different planet hit Google up to get some basic statistics on the usage of mobile for Social Media, here on Planet Earth, he or she’d be convinced that the only way to access it is via a device humans call mobile. 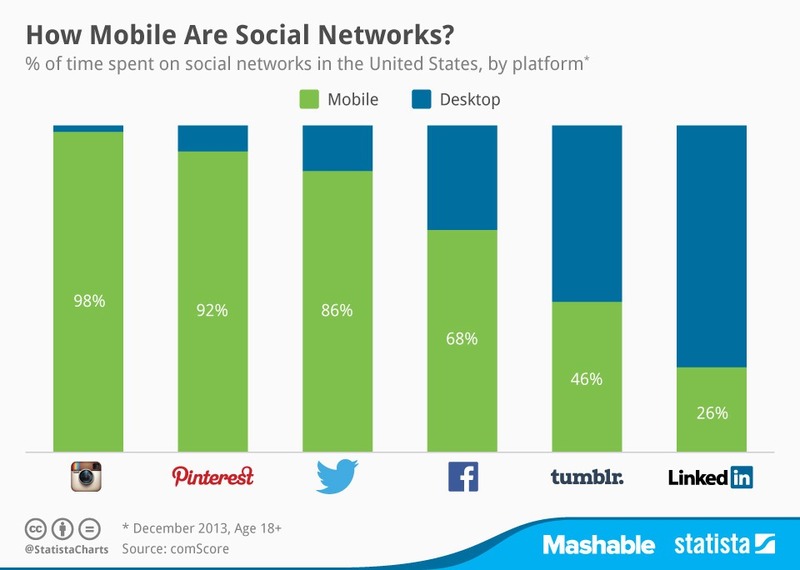 The statistics for Social Media being accessed via mobile versus that of the desktop are over-whelming. A mobile user spends nearly 8 percent of their total activity sharing content, whereas desktop users spend only 4 percent. 71 percent of social media users access social networks from a mobile device. So why exactly is this radical shift happening? Is it the convenience of technology or is it the ease of access? Most would say it’s a combination of both with some other added elements, but I have a different take on this. These elements are merely ‘enablers’. The world’s shift to mobile and the development in this sector is occurring only because our insecurities demand it. Our insecurity as a generation and as a race. We, as beings have always had radical needs and wants but acceptable social behavior kept us in check. Over the years, the one thing that has changed is the definition of this ‘acceptable social behavior’. We brag about having become liberal and more open minded. On the downside of this, our insecurities are now finding ways to embody themselves as acceptable behavior. Mobile devices enable just that. Here are some of our habits as a generation that has led to the upswing in social media’s shift to mobile. 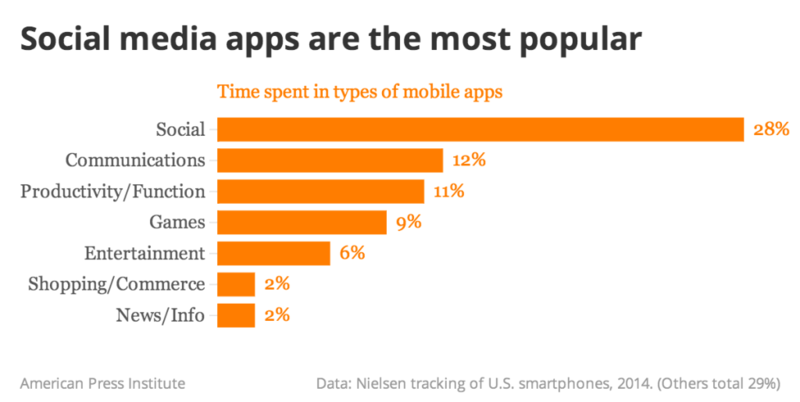 What do you do on your smartphone all day? If we’re honest, we can admit that the majority of our time isn’t spent on business calls or online banking. No, most of us behave like “stalkers” on social media networks, observing and obsessing over people, places, and things that are important to us. We check our social apps multiple times each day to see what our friends are eating for lunch and, more importantly, whom our friends are hanging out with. Am I right? We feel inclined to be the epicenter of knowledge no matter how vain that may be. This human social behavior is one of the top reasons why we feel the constant need to go through our timelines and make constant conversations. Since a planet worth of gossip and scandal is now in the smartphones, it only makes sense that our time spent on social media via mobile has considerably gone up. Using social media to connect with other people is the most popular purpose of the smartphone. As more people access social networks from smartphones and tablets, they’ll realize these devices do more than make sharing easier and content creation better. They also allow for instantaneous connections. It’s no longer good enough for some of us to come home from vacation or a night out to post our photos and thoughts. We’ve become so used to real-time sharing that it feels irrelevant to post pictures of and reactions to things that happened mere hours ago. This real-time self-expression was essentially non-existent before the rise of mobile devices — and now it’s the norm. We’ve become accustomed to knowing what’s going on with our friends and family or favorite celebrities and organizations at the moment it’s happening. This allows us to feel as though we’re experiencing these activities with them, radically changing how we feel and, ultimately, connect. Even God can’t be in these many places at once. Move aside, Lord Brahma. As humans, we feel inclined to have validation on everything. We seek for others’ opinions to reassure and convince ourselves that what we’re doing is cool and mainly, enviable. Travelling, for the earlier generation was about finding solace and harmony from the everyday life. A wedding was about union of love and the celebration of togetherness. Reading a book was about gaining knowledge. All of that changed for good. Our social behavior has evolved to what it was always waiting to become – a struggle to prove ourselves cooler, better and smarter than the rest of the pack. That is why, travel, is now about a selfie at every pit stop. One might not find a temple on the highway fascinating enough under normal circumstances. With the devil’s temptation in your palm, you are bound to stop and tell the world about your ‘discovery’ and your eye for unusual beauty. After all, beauty lies in the palm of the beholder. Be it uploading a selfie with a book to seem intelligent or showing your designer Indian outfit off at a fancy wedding venue, our generation is always on social steroids. With the mobile becoming more social, it’s also become a device to help us make our lives look fancier than it really is and that too, in real time. So why would we waste an opportunity to throw the opulence of our lives onto others? Nah. Useful or useless, WE MUST KNOW EVERTHING AT ALL TIMES. Period. In the current scenario, we find ourselves in a position where there’s an app for every social need. Mobile-first apps like Path, Tinder, Instagram, Snapchat etc. have seen a boom despite the lack of a prominent web presence or in some cases, complete absence too. We already know from above as to why we are completely comfortable with this. On the other end of the spectrum, mobile adapted social networking apps are focusing on making mobile native applications to enhance the UI and UX. Earlier, Facebook, Twitter and Google+ on mobile were just adapted version of their desktop selves. The times have now changed after these companies have come to realise the role of mobile in their growth. We now see these social networks trying to cater to all our social needs, under one single umbrella and yet via different apps. Facebook has Messenger, Camera, Pages and its primary app with Home as an integration point. Google has Talk, Contacts, Mail, Plus, Hangouts perhaps with Now as a point of integration. Apple is a little behind but has iMessage, FaceTime, Photostream, Mail and Contacts. 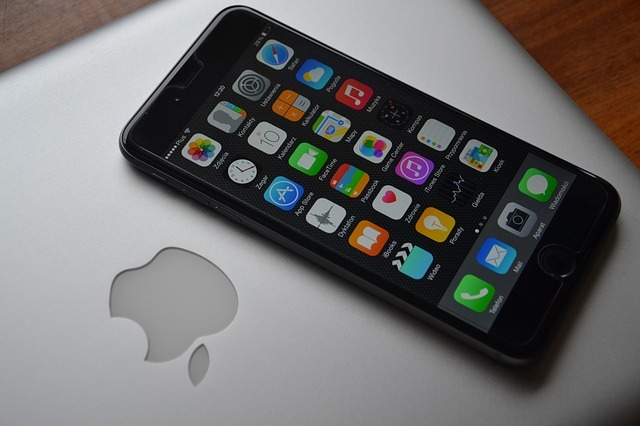 iOS itself may be the point of integration. The notification center in our devices is our best friend and our worst enemy at the same time. It’s the agony aunt that we’re all persistently grumbling about and yet, cannot live without. As constant connectivity becomes an epidemic, this rise in mobile-social integration is far from saturation. The ground has been set for a fascinating next few years as the web-based social platforms seek to own mobile-social apps and extend into more integrated approach towards social features. If this is anything to go by, we’re moving towards a time where the definition of social networking will become more dynamic than we ever imagined. It won’t be just about sharing and stalking, but about integrating all of our mobile usage patterns into one giant unified command center via our phones. Maybe Facebook will see the restaurants you’ve liked and have an app to push you with notifications about deals in that restaurant. Maybe you can book a table with a guest there via the app and your phone automatically sets a reminder as well as sends it to that friend. The possibilities are endless. If I were to wrap it all up in one sentence, what I’m trying to say is that our lives will eventually be reduced to our pockets.